Vicki and I were driving by a tree this week and she said, “Look at that tree! The leaves keep turning more every day.” Of course, we are now entering the time of year when the leaves will be turning red, yellow and eventually brown. After they have turned colors they will turn loose. Yes, winter is just around the corner. The leaves will fall and the trees will be barren. They will seem void of life. Then changes will again take place. Those limbs that have been barren will change and once again begin to produce leaves. They will bud out and before long once again be covered with new leaves. I know you didn’t read this to get a lesson on trees, but as the trees go through this cycle we find there is hope. It makes us realize that there is an opportunity to start over as we face change. Every one of us goes through the seasons in life. 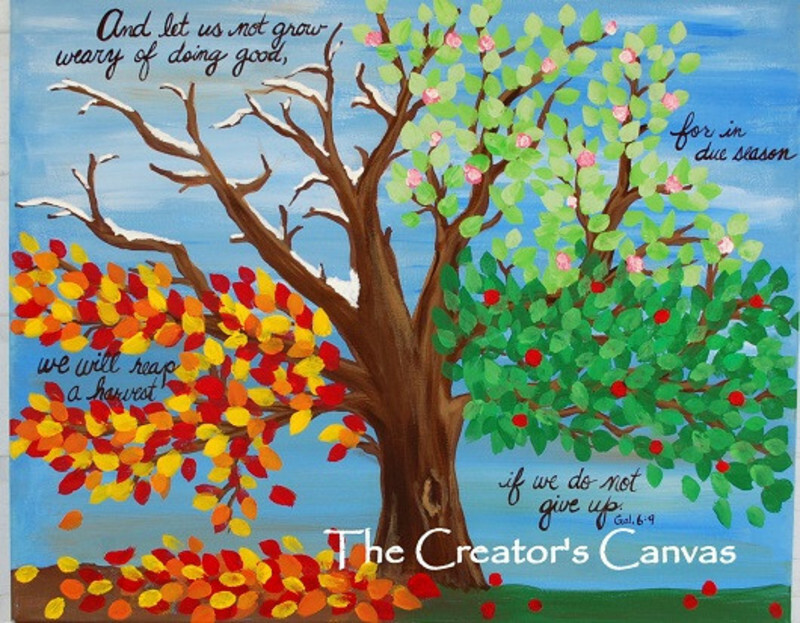 Nicole Nordeman sang a song called “Every Season.” It speaks of the spring, summer, autumn and winter of life and the presence of God in every season. truly feel that it is true of our lives. have stood beside the grave of many people through the years. Most of them had lived their lives starting in the spring and going through to the winter. They lived their lives and then left this life. Yet as they did, those who had trusted Christ, burst into the eternal life given in Christ. For those of us who remain in this life, we hold to the promise of an eternal spring that is coming. 1 Corinthians 15:51 says, “Behold, I tell you a mystery; we shall not all sleep, but we shall all be changed.” I’m not sure how it will all unfold, but I do know that the struggles we face in the winter of this temporal realm will give way to the spring of the eternal realm. In 2 Corinthians 5:1-9, Paul shares with the church in Corinth about the earthly tent that will give way to the eternal home, not made with hands. Our place of residency will be changed from an earthly tent to a home eternal. We groan now under the burden of this life, but soon we will glory in our new home as what is mortal is swallowed up in life (see vv. 1-4). While we are in this life we walk under His grace and guidance. Then in that moment we will be changed and will walk eternally in the full revelation of His glory. I confess to you that I’m not sure exactly what we will be like, but we will see Him as He is and we shall be like Him. 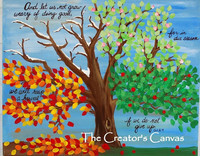 God recreates us in the seasons of life, to bring us closer to Him and deeper into our relationship with Him. Yes, the changes can be tough at times, but the final change will be worth it all when we see Jesus! Let this season of your life, with all its changes; remind you that the change only brings you closer to Him.